This blows many people’s minds, however you can benefit a lot from optimizing your images for SEO with the added benefit of Pinterest traffic. This post will discuss what size images to upload, what alternative text is, provide in-depth instructions on how to write good alt text for SEO, discuss mistakes people make when it comes to writing alt text, how to optimize for Pinterest with your alt text, and what to avoid when uploading images to your website. You’ll find examples of good alt text practices throughout this post. One of the leading ranking factors is page speed. In the modern age, many people read on their phone–and not everyone has unlimited data (including myself). Something that plays a significant role in page speed are your images. When you’re on your phone, the speed on the website isn’t always as fast as it would be on your computer. Google routinely tests websites using real people using their mobile devices, so your speed test will not help you much if your website doesn’t load fast. It can work against a webpage that otherwise loads fast and has great information on a topic. If you have images that are huge (think 2,000px and larger), you’re going to be bleeding readers who are annoyed at the loading speed of your website on mobile. Similarly, it just slows down your website. If you’re into photography, you might be reading this quite nervous, however it’s best to ensure that your images fit the screen dimensions of your user. Instead of uploading an image that has a width of 3,000 pixels, it’s best to remember that most people are looking at websites on their computer using screens that have a maximum width of 1366px. If you have a sidebar on your website, this maximum width is even smaller for photos. Photo of the Hadum Mosque in Kosovo. 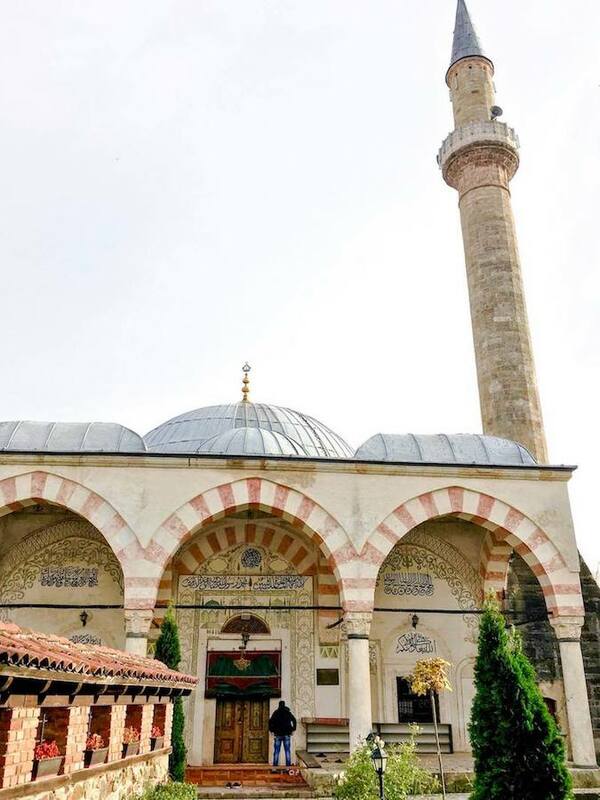 The interior of this beautiful mosque is why you should visit Kosovo! As a result, it’s best to ensure that your images are optimized for the actual screen size that people are using. Generally, the widest maximum size image that I use is 1200 pixels and that’s only for WordPress headers. In general, I try for a maximum size of 900 pixels in either direction. I aim for 600 width by 900 width for vertical images (Pinterest friendly! ), 600px by 600px for square images (Pinterest friendly! ), 800-900px width for horizontal images, and 1200px width for images that will be used as WordPress headers. I often try to mix it up with vertical, horizontal, and square images. On a related note, having high-quality images on your page is a risk to your business if you publish your photography or simply share your work online. If you have an image that is high-quality online, it’s very easy for someone who likes your work, but doesn’t feel like paying a copyright usage fee, to download it and reuse it while cropping out your watermarks (if you have them). Even if you “disable” right clicks (who is annoying for normal users), people can still easily scape them off your page. Simply, don’t put high-quality images on the internet that you don’t want others appropriating. I’ve found that using smaller photos online have been a good deterrent to image thieves as well as a great way to improve my page loading speed. For WordPress, I recommend using the free Smush plug-in although some images aren’t as sharp as I’d like. If you’re on a non-WP plugin or prefer not to use an automatic image compressor as it can interfere with quality, I recommend TinyPNG, which truly does a fantastic job of compressing without compromising quality. I’m sorry to write this, but you can be using too many images. A lot of photographers who publish online are often posting beautiful, giant photos on their portfolio pages. When helping a friend look for a photographer for her wedding, I do not joke when the page of one of the photographers would not fully load as there were 100+ HQ images on the page. They were beautiful, but I got frustrated and closed the tab to look at another photographer’s website. I generally aim for a maximum of 10-15 well-optimized images on a page where I feel that images really add to it. In general, I try to stop after five images to optimize my page speed if they’re not necessary. That’s just my personal rule. 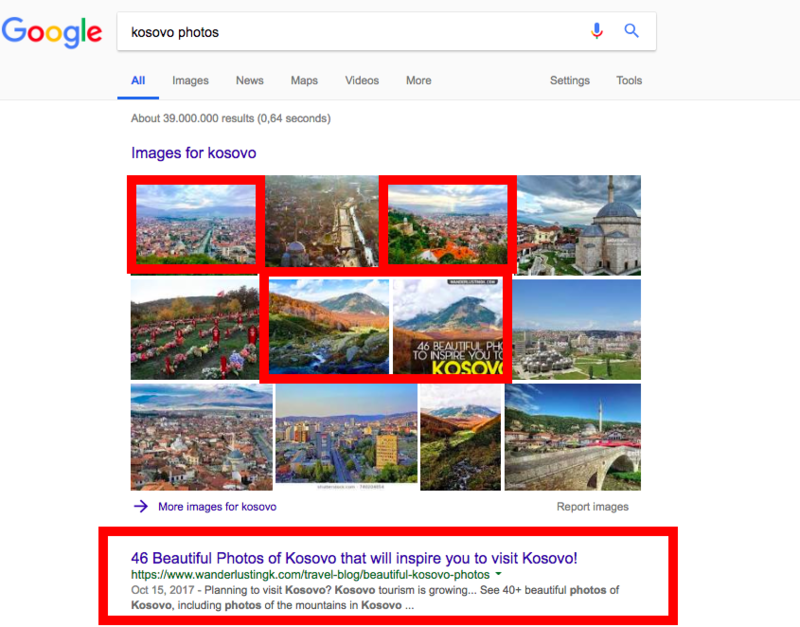 Unless people are specifically searching for a keyword related to seeing lots of images (“beautiful photos of Kosovo“), do not go crazy with photos. Think on whether your images serve a legitimate purpose in the post. 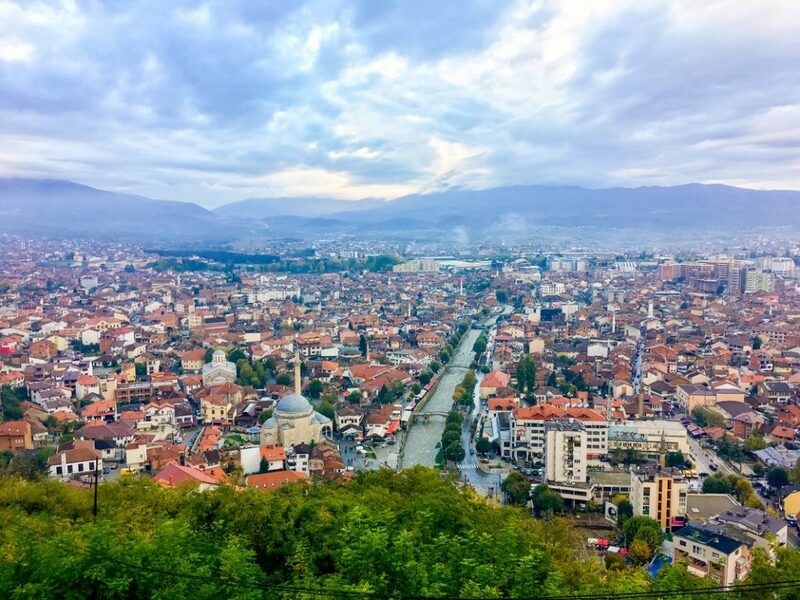 Beautiful view of prizren from Kalaja Fortress in Prizren, Kosovo. The Kalaja Fortress has one of the best viewpoints in Prizren. It’s important to think about the user experience and what they’re looking for. if someone is searching for “fashion tips” or even a “X city guide,” you want this user to find the information they’re seeking. Fifty images may make them click off your website and go to the next search result if they’re tired of scrolling. (I’m guilty of this and if someone goes back to the search results to click another result, you get a Google penalty.) If I click to a photographer’s website when seeking the “best wedding photographer in Holland, Michigan“, I want to see some images, but I don’t need to see all one hundred images that the person has ever shot. Just enough to see if I think they’re a good photographer. It’s good to note that images are important for websites as images help keep users engaged. Big text blocks are not fun to read–and images will help keep your readers not bored. I aim for one or two images every 3-4 paragraphs with my own writing. Alt text is the text that is displayed when your image doesn’t load. It’s primarily used by search engines to determine what’s inside the photo, however it’s also displayed if a user has a screen reader (e.g. due to blindness), the page connection is too slow, or something has gone wrong. Depending on your platform, you’ll toggle this option when you upload your images. The added benefit of writing alt text for your images is that your images may rank when someone looks up a topic. If you have good alt text describing the Anne Frank House exterior and someone is looking for a photo of what the Anne Frank house looks like, your image might rank. 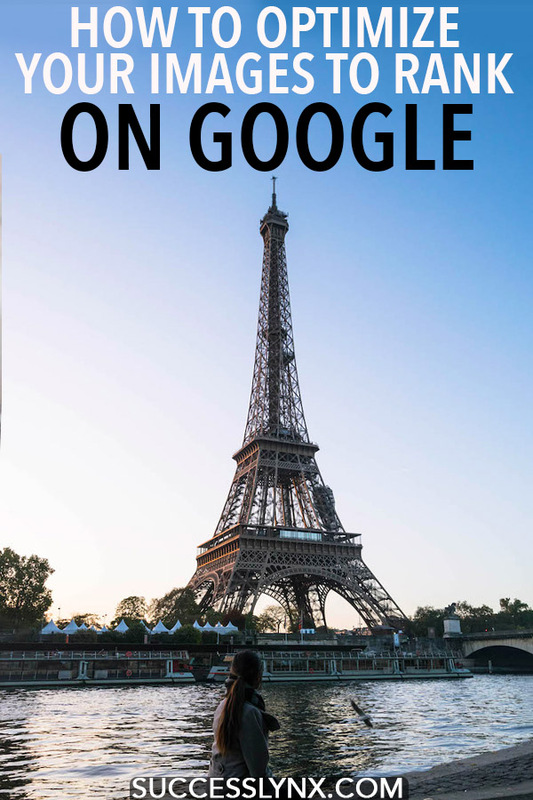 My images have been featured on Bing as well as few other search engines as they were well optimized to a location that the search engine decided to feature as part of their “location of the week” to inspire people to look through images. Recently, a museum reached out to me after finding one of my images on Google image search asking if they could add it to their exhibition. I’m not kidding. Now, one of my images has been added to the permanent collection of a museum in Scotland and it’s displayed next to artifacts from the location. As someone who pins a lot of nice images from websites, I see a lot of people’s alt text unintentionally… Let’s get into the worst habits that I see when it comes to alt text for images. This is the worst habit when it comes to alt text–and the most common thing that happens. WRITE SOMETHING. Otherwise, when I pin your image, it will say “IMAGE 1234” or just the title of your website. You’re losing an opportunity to tell Google about your beautiful image and for your potential audience on Pinterest to figure out what’s inside this photo. Some people just write one word “beach” or “Sydney beach.” This is a start, but you need to write more. I usually aim for 1-2 sentences describing the image and what’s going in the image. Always include some contextual information, such as the country if it’s about travel or some broader phrases that be insightful for someone who is searching something broader about the topic. Instead of saying “Boka waterfall, ” write “Rainbow near Boka waterfall, a small waterfall in Slovenia near the Soča River.” This is helpful for Google and someone blind. 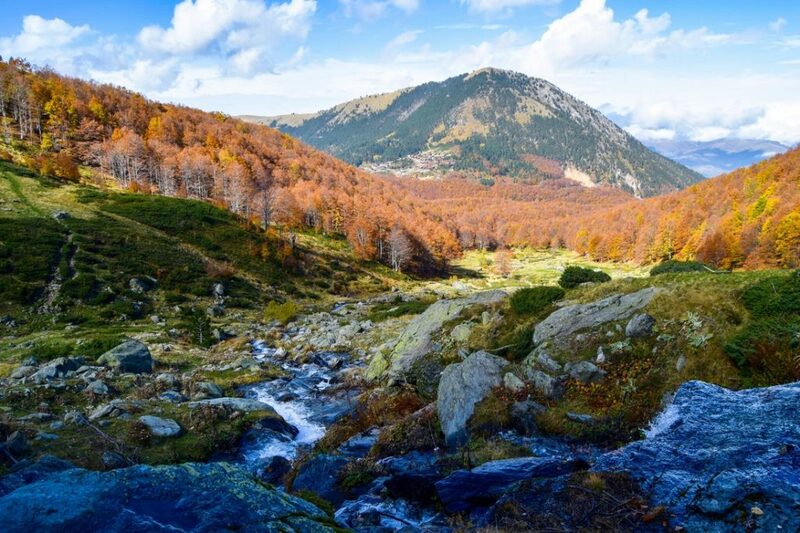 Photo of mountain stream and fall foliage in the Sar Mountains close to Prevalle, Kosovo. Keyword spamming has been listed on Google as something that doesn’t work. I’m not sure if people are doing it due to Pinterest, but listing a bunch of phrases that are marginally related to the photo “X | Y | Z | A “ is really not helpful for Google. Even Pinterest has listed it on their bad practices, so please stop doing this. I just feel really bad for someone who is blind who has all your invisible keywords being repeated to them whenever I see this. When I started writing, I used to think it was a good idea to write ONE snippet (my SEO snippet) describing the entire topic and then copy that to every image on the page. Google does not like repetitive content and you should be varying up your descriptions to make them useful. As soon as I fixed my alt images, that post took off and it now ranks in the top three results for a competitive query. On a related note, do not listen to Yoast when it tells you that you didn’t use your keywords enough times. Some people paste the same keyword over and over throughout their alt image text until Yoast gives them a green check mark. Stop that. Use it once if you feel that you must and describe the image using different words. Simply, describe your images. It’s okay to include a keyword or two, but don’t go crazy as it’s just annoying to read (and I’m not even using a screen reader to view websites). Write 1-2 sentences to describe what you see the image. Vary up your phrasing, even if you have a lot of similar images. Don’t use the same keywords more than three times. I’ll be showing you a couple of examples. I’ve included the alt text as the caption in this case, so you can see what I’ve included to describe the image. I usually optimize for Pinterest and Google at the same time. I sometimes even write my alt text in another language if I feel that people will be more interested in the image in the local language, instead of English. 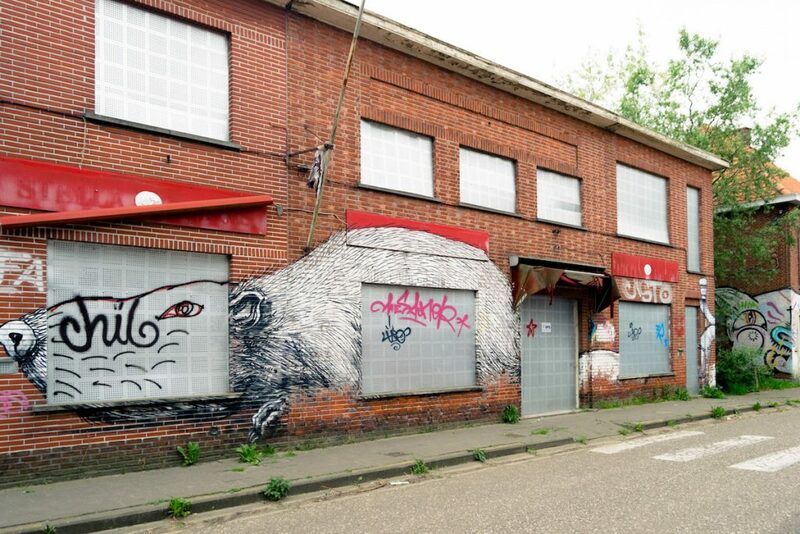 The famous street art of Doel, Belgium on an abandoned building by Belgian street artist Roa. When you marry SEO with Pinterest, you have a beautiful couple. For normal content creators, it’s usually enough to include a keyword in your image description without it being obnoxious and without paying for a plug-in. I typically include 1-3 hashtags that are directly relevant, specifically for Pinterest, at the end of my description. It’s good to keep in mind that Pinterest is both a visual as well as text search engine. It looks at your description to determine your content is about. Never have the same text as your SEO snippet. This is a lost opportunity to reach your audience who might love THIS photo. When you pin your images onto Pinterest, it already sees the SEO snippet and generally features the Alt Text as the main text that people see. I generally find that Pinterest and Google searches are not so different although I find that Pinterest searches can often be more vague and explorative. There exist separate plug-ins where you can write separate Pinterest descriptions that are distinct from your SEO Pinterest descriptions. Two of the most popular plug-ins are WP Tasty and Tasty Pins, both paid plug-ins for WordPress. WP Tasty allows those who write about food to include the full recipe for Pinterest as part of their pin. Tasty Pins simply allow you to have a different description than what the image is. I personally have taken a pass on this as I don’t feel that my descriptions aren’t so far away from what people actually search for, but I’d use the WP Tasty plug-in if I had a food blog. This is the one tip that can help. Instead of uploading IMG_1234, name it with a keyword. I don’t think that this is a necessity, but it doesn’t hurt that google can clear see what your image is about simply by reading the name. I’m a bit guilty of not always doing this, so I try to include a keyword when I export from Lightroom. You don’t need to name your image: image_of_a_cat_sleeping_on_a_backpack.jpeg. Something more subtle like sleepingcat.jpeg is probably fine. Some people include their websitename in the image name as many image thieves are too lazy to rename images–so it makes it easy to find your images online. Do you optimize your images on your website for SEO? Thank you for this. OMG I’ve been doing it all wrong. I have lots of work to do!